Olympia Auto Mall - Washington's Largest Selection of New and Used Cars: Car Battery Problems -- Problems Starting? 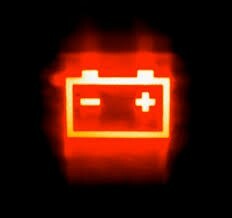 Car Battery Problems -- Problems Starting? Car battery problems can lead to other problems with even the best used small SUV and compact cars available today. When it comes to car battery issues, you need to stay on top of your regular maintenance and routine inspections of your vehicle, including but not limited to its electrical system and battery connections. The battery is at the core of your engine's power system. It serves as the primary component of the engine's electrical connections for everything from the starter to the radio. You can hardly have the lights illuminate the highway or the dashboard without the battery in place or fully functioning. No matter if it is a new compact car fresh from the factory to the dealership or the best used small SUV available on the local lot, the battery remains the main power source for your vehicle's engine and its electrical system. Keep in mind that modern car batteries do not require being filled with fluid in the battery cells like much older batteries. However, modern car batteries do need to be replaced periodically. Some have a life of three years, some five and others somewhat longer. For more information on car batteries or to find the best small SUVs and prices, feel free to visit the Olympia Auto Mall.